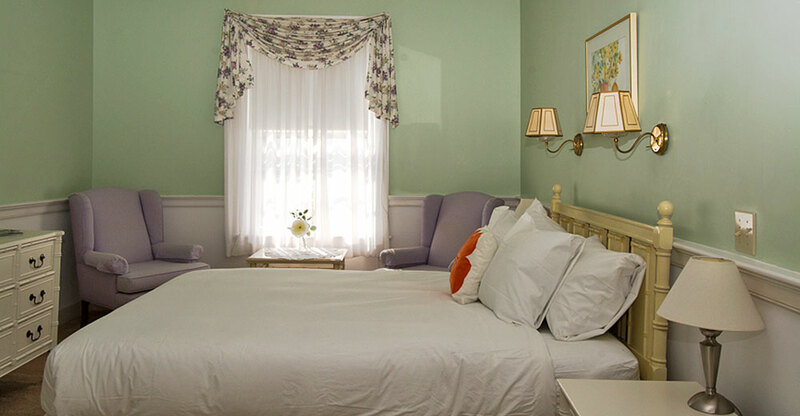 This queen room has a wonderful view of the Inn's famous garden. 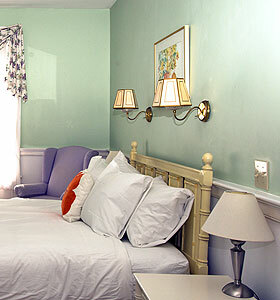 The charming green walls, shabby chic bed and comfortable light purple reading chairs make for a fresh summer ambiance. The bed is particularly inviting with its Italian linens and a lofty duvet. Renovated private bathroom with bathtub and shower.